James Altland received his M.S. and Ph.D. degrees in horticulture from Auburn University. He worked as a nursery crop research and extension specialist for Oregon State University for five years before moving to Ohio to work with the USDA-ARS as a Research Horticulturist. James' research focus is on development of alternative substrates for nursery crops and herbicide application technology. His substrate research is currently focused on developing viable substrates using biomass crops as the primary component. Cheryl Boyer is an Assistant Professor and the state Extension Specialist for ornamental nursery crop production in the Department of Horticulture, Forestry and Recreation Resources at Kansas State University. 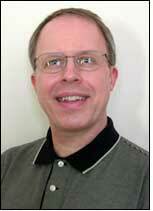 Boyer earned a B.L.A. (Landscape Architecture) and M.S. in horticulture from Oklahoma State University in 2003 and 2005 respectively before completing her Ph.D. in horticulture at Auburn University in 2008. Her doctoral research focused on the use of Clean Chip Residual, a forestry by-product, as an alternative substrate. She has expanded this work at Kansas State University where she has been evaluating invasive tree species as alternative substrate materials for nursery crops. 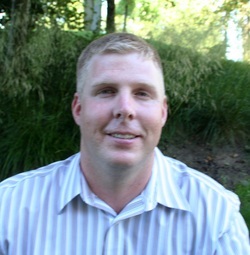 Dr. Jim S. Owen, Jr.
Jim Owen is an Assistant Professor at Virginia Polytechnic Institute and State University (Virginia Tech) located at the Hampton Roads Agricultural Research and Extension Center in Virginia Beach, Virginia. Owen received his B.Sc. in Plant and Soil Science at the University of Kentucky, his M.Sc. in Environmental Science at University of Rhode Island, and Ph.D. at North Carolina State University with a major in Horticultural Science and minor in Soil Science. 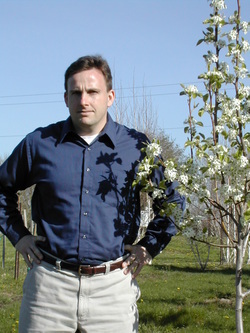 Currently, Owen is a nursery crops researcher and extension specialist in the Department of Horticulture. His research and extension program focuses on four interrelated themes: water management, nutrient efficiency and fate, physiochemical properties of soilless substrate, and automation for precision management. Glenn Fain received his B.S. in Horticulture at Auburn University after wich he spent 10 years in the Nursery and Landscape Business. Fain returned to Aubur and received his M.S. and Ph.D. in Horticulutre. He worked as an Assistant Research Professor for Mississippi State and as a Research horticulturalist for USDA-ARS before returning to Auburn. Dr. Fain's current research focuses on the use of forest and agronomic biomasses for use as sustainable substrate components in greenhouse and nursery production. 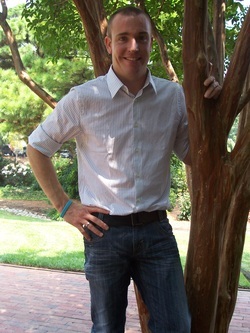 Brian Jackson is an Assistant Professor in the Department of Horticultural Science at North Carolina State University in Raleigh, North Carolina. Jackson earned his B.Sc. in Horticulture and Botany at NCSU, his M.Sc. in Horticulture at Auburn University, and Ph.D. at Virginia Tech. All of Brian's graduate work involved research with substrates including cotton gin compost for his M.Sc. project, which his doctoral work highlighted the physical, chemical and biological properties that influence plant growth in a pine tree substrate. Since arriving to NCSU Brian has joined Drs Bill Fonteno, Ted Bilderback, and Helen Kraus to continue work with wood-based, and other alternative substrates focusing specifically on the processing and development of these materials. Brian is also a full partner in the Horticultural Substrates Lab at NCSU. American International Plant Propagators’ Society. Charles is currently working with Clean Chip Residual from Loblolly Pine and WholeTree from cedar, walnut and sweetgum trees. 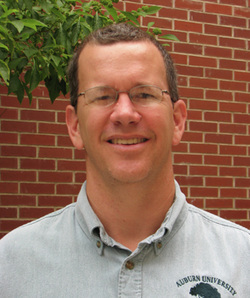 Gene Blythe is an Assistant Research Professor with Mississippi State University's Coastal Research and Extension Center. Located at the South Mississippi Branch Experiment Station in Poplarville, his research with alternative substrates focuses on their use for commercial nursery propagation. 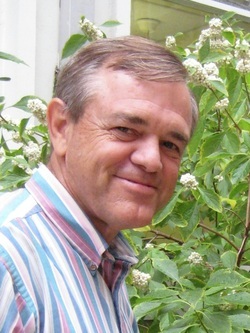 Prior to his academic career, he spent 20 years with Monrovia Nursery in Southern California, including 10 years as Propagation Manager. Gene received a B.S. degree in Ornamental Horticulture and an MBA from California State Polytechnic University, Pomona, and a Ph.D. in Horticulture from Auburn University.